Composed by one in kumber. In quiet solitude in lonesome wildernesses. For joy to see his friend, he fainted quite away. Though ‘twas a pretty while before John could perceive him. Johannes, says the friend, I know what troubles thee. What make thee sick, ‘tis love, which now thou canst not see. So wilt thou now in grief and floods of tears despair. And that the Lord doth now chastise thee in His wrath. I love, replied John, and can’t therefrom defend me. This life-consuming fire, yet strive with doubt to mend me. The mountain of my sins still comes before my eyes. And Oh! How can I be so bold, this Grace to do me? That I do love deserve, or yet incline unto me. Polluted as I am should yet be gracious, too. My then despised foe has therefore now me fixed. How lie I here ensnared and in my grief entangled. My soul doth wish with Job’s to be but only strangled. Preserver of Mankind, is there no rest for me? Thou knows’t the Mother not, who thee in love corrects. That thy distressed soul somewhat refreshed may be. Then will thy body be, with soul and spirit found. Whose inward bleeding flux, deep in the heart is founded. Until it’s into the heart of its beloved pressed. And stillness of its ebb, its depth thereby is showing. Until the sun’s bright beams, just over it has been. Then may it after be as crown and scepter worn. Before the faces can be to the bottom sinking. Before it nectar-like, the heart and mind rejoice. Its motion may be felt, but never was known by seeing. But in the inward part, her sevenfold fire is blown. And therein seek their food, the plant and seed to nourish. So covered groweth love, as all her fruits do show. And is not hindred by heat, winter, frost, or snow. How faithfully she turns her face to her dear lover. Then rests she and does bow in gratitude her head. It straightway sheds its seed, although the pod be couched. And only looked upon, but by the shining sun. And speechless quite she is when he doth her embrace. And yet her only dear, unknown does cause these complaints. Whom in esteem she hold the best that ever moved. And her own virtues she does never think on more. Her love into his love, she only will be giving. Thinks she, he loves her not, she grieves herself to death. And what she sees and hears, must as his echo meet her. And see her self alone, she thinks herself befooled. And that by means of love, her hopes will now grow coolish. She now grows deadly sick; naught helps or strengthens her. But only her dear love, if she could see him near. She will in secret be, with mother’s care alone. She gives her courage lost and from all hope is severed. She thinkest on no joy, but trouble, fear, and pain. But anguish, grief, and ‘plaint, is over and over again. Nor is it yet well known, know he this time did use. And self experience, the best of all explains it. To cast him down to hell, he this occasion took. Here on the Cross and There, on his right hand adore him. Therefore make now thy choice, whilst thou art here below. Why now so full of thoughts. Wilt thou yet make election? Johann, I tell thee free, make thereof no reflection. Hear the Jewish call, be faithful, win the Crown! So will be, when I come, thy soul and body new. His chief hope cut in the midst and thereby lost the best. ‘O sword! ‘O love! In me until this house is stormed. ‘Til Deified my soul may therein thee behold. I (press) to thee, therefore come, wound me more and more. So stand thou still, ‘o sun, and shine upon my stream. To say, (well) farther forth, make me as living gold. May in thy kingdom sit, make me as the new wine. Make a new heart in me, and only in thee loving! In sacred unity and always in thee moving! Forever, so ‘O Lord, make a new heart in me. In drought and wetness, too. So cover, thou, the root. Then stand I still in thee, I only thy sunflower. That I may be but thine eternally, this grant! So am I full of fruit,I thy sensitive plant. That when, quite stripped of all,to thee I may be turning. That unknown may remain, the pure virgin-love. My only lover, Thee, I have for me selected! Since I dare not behold my only lover, Thee. Unworthy and I quite; how can I thus deceive me? Therefore I say with grief, Unworthy am I quite. How like I my own wife! How love I my own living! How can I with self-love, my self be that deceiving! When I live not content, the love is cold as ice. And yet I think I love! So love I my own wife. And what I see and hear, must echo to my pleasure. See me, in my beloved, so finely do I think. Save me from me, that I be not the scorn of fools. With manna, me unknown, upon my Pilgrim’s journey. Lead me still by the hand, as mother doth her fruit. ‘Til thou hast blessed me, ‘O center of my faith. And thereby still think on they fiery agony. But Thou divinest Love! Who thy self hast begun it. 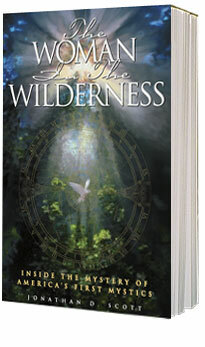 (In this way of the Cross), the Love its wilderness.